Surviving the first 3 months with a baby (or two) can be hard (or damn near impossible)! I remember feeling like I had ran a marathon by the end of the day trying to feed, change, entertain, and love two babies. I know all moms can relate to that feeling! The feeling of pure exhaustion and happiness as you stare at your new sleeping babes (wait, shouldn’t I be sleeping now too?) Here are some of our FAVORITE baby products that we used to help us make those first few months a little easier! If you are wanting to breastfeed your baby I PROMISE you will want a breastfeeding pillow. 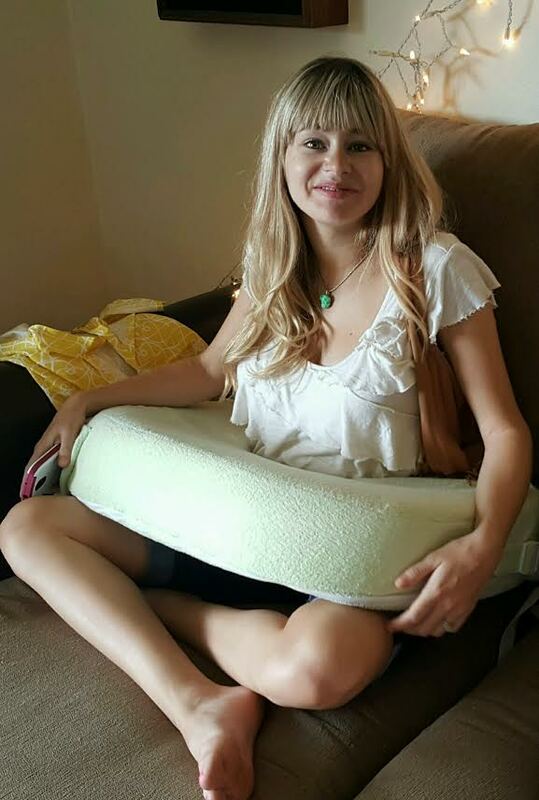 Mine here, is the Twins Breastfriend Pillow, and it worked wonders for us! It made it so I could easily tandem feed my twins! Best part about it, it even has a pocket for water, snacks, and remote! Did I mention the back support? It supports your lower back well but I would add a pillow behind me so I wasn’t so hunched over. I promise breastfeeding is back breaking! This pillow is high tech you guys! I seriously had to “buckle” myself in. These will always be moments that I never EVER want to forget! Find a pillow that works for you and baby, obviously this tandem feeding pillow isn’t for everyone, BUT they same brand has a pillow for one baby! I HIGHLY recommend! It comes with the back support (it even looks better, WHAT!) and a pocket! I forgot to mention that this fabric is so forgiving with ANY of those pesky milk stains! Lets just do the math and say I used this thing 6 times a day, which I DID, for 3 months, which I DID that means I used this pillow AT LEAST 540 times. Worth every penny spent! Just kidding, it was a gift and like the BEST one ever! Sadly the twins are too big and wild for my pillow now. Luckily I have a recliner that does the trick! These things!!! Oh man, they are brilliant! 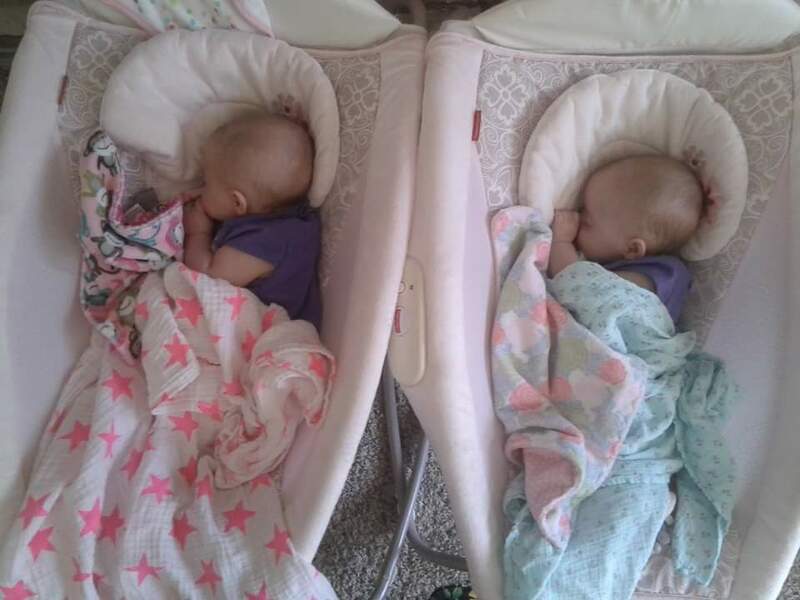 My twins slept in them for almost 6 months! Up until the point I found them unsafe (picture below) because one of my girls would sit up in it! We decided we better make the transition to their crib! I would cart these things from my bedroom so they were close at night, to the living room during the day for naps, to the shade outside for fresh air, and everywhere else you can imagine! They are lightweight. They offer an elevated support which was so nice for when they would spit up in the night! I didn’t worry so much about them chocking. They didn’t take up too much space, had a soothing vibrate setting, and I didn’t even mention my greatest discovery with these things of ALL TIME! 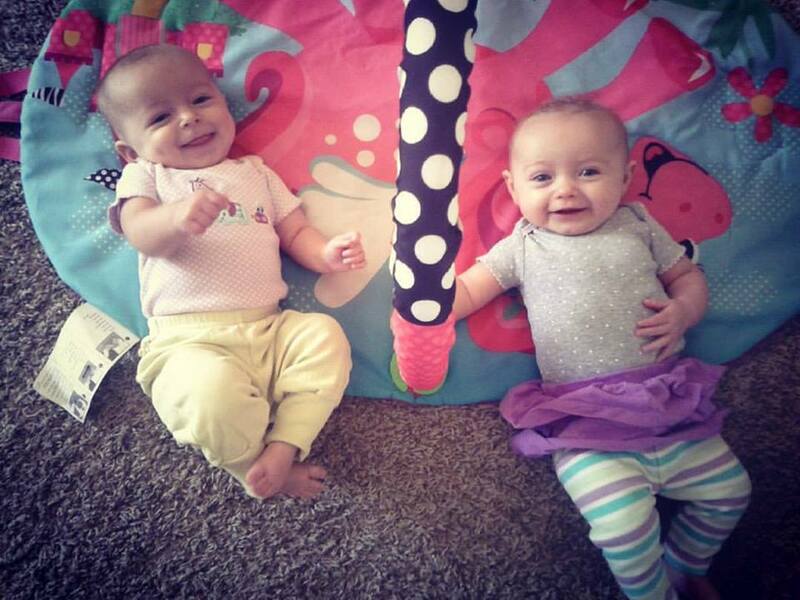 Moms of Multiples… I am talking to you! When you put one leg over the top of the other one, you can rock them both at the same time! Life changing! Whether you need one, two, three, or even four of these things (heaven help you) they are a must have in my book! Here is a gender Neutral one I still have in the box! My girls weren’t the best swaddlers. I thinks because they would wiggle their way out and we just didn’t have the time or patience to keep two babies swaddled through out the night. I mean, I didn’t have the patience because Lord knows my husband wasn’t waking up! I would swaddle them up before nap time, or bed time but they would wiggle out their fingers and toes. If I had been sharing a bedroom meant for one with another person, I would probably want to stretch out a little bit too. So by the time they were 8 weeks old we didn’t really fight the swaddling anymore and then they grew to hate it! Which is fine because once they started rolling over, which was surprisingly early for one of my twins, I didn’t want to keep them swaddled anymore. We would still leave these draped over top of them because they are lightweight and breathable. They were perfect for tummy time or even to clean up projectile vomit (don’t judge). They clean up nicely and haven’t seemed to fade! We will probably still use them this spring and summer when the twins are over a year old. They are that good! I may just have to buy these for Valentine’s!! My girls loved this thing! 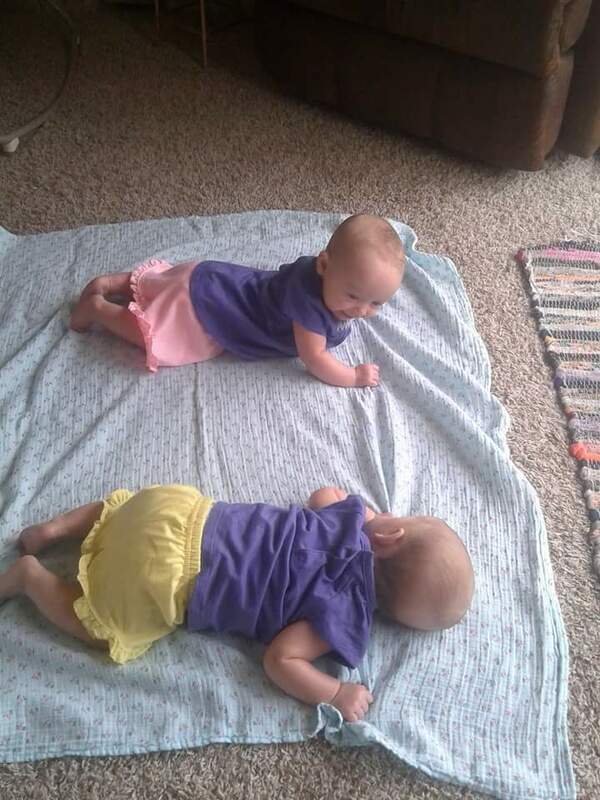 They would both fit under there and play with anything dangling in sight, or just learn how to maneuver their arms and legs! It was so cute to see them both kicking and squealing in delight! I would let them play independently (well as independent as twins get) for as long as they would let me get something else done. Super lightweight, cleaned up nicely after a lot of spit ups, and helped make tummy time not such a chore! Both of these are UNDER $20!! Ours is VERY similar to this one, unicorn and all! Same thing as before! Great for entertainment and learning about their arms and legs! I had one twin who LOVED this thing. She would get it bouncing so hard and fast it would squeak and she would squeal! Sometimes even rock herself to sleep! I would trade off between this and the mat. My swing didn’t rock them hard enough to make them fall asleep really, it was hand-me down and I had enough baby crap filling up my house so we survived without! So instead Molly has a great one that she uses! This is probably my top life saver product at the moment. Aria loves to be moved. Loves it! Bounced, rocked, patted, anything so this swing is perfect! It has 6 gliding speeds, 10 classical music songs and 5 nature sounds ranging from water rushing (my favourite) to a heartbeat. It also comes with a detachable bar with two soft dangling toys on which I’d taken off for this photo because she was asleep. I put my own rattle toys on it because she likes to reach out and hit them. I bought this swing in the baby sale event at Smyths. 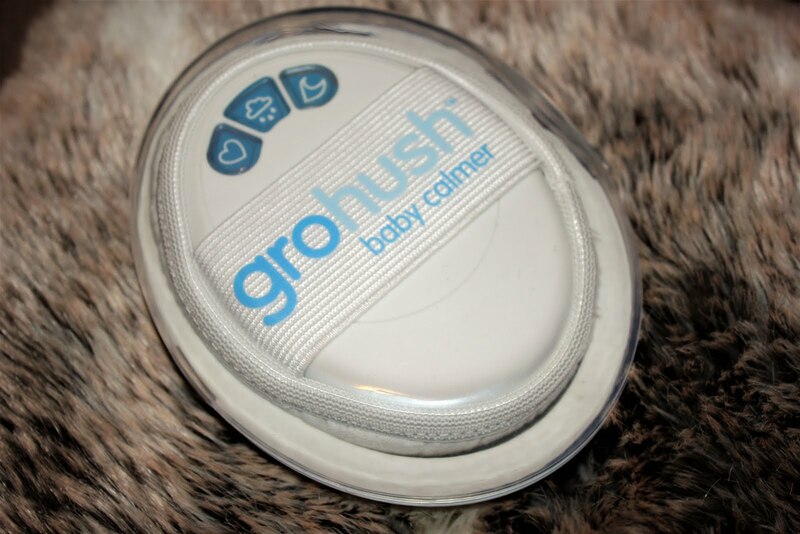 I’d definitely recommend this product as it calms Aria right down and she is a difficult baby to soothe. This is one of the presents my mum got me for Aria and it’s amazing. I mean it’s from the Gro Company so obviously you can tell it’s worth getting but it really is fabulous. It’s just a little white noise pebble. 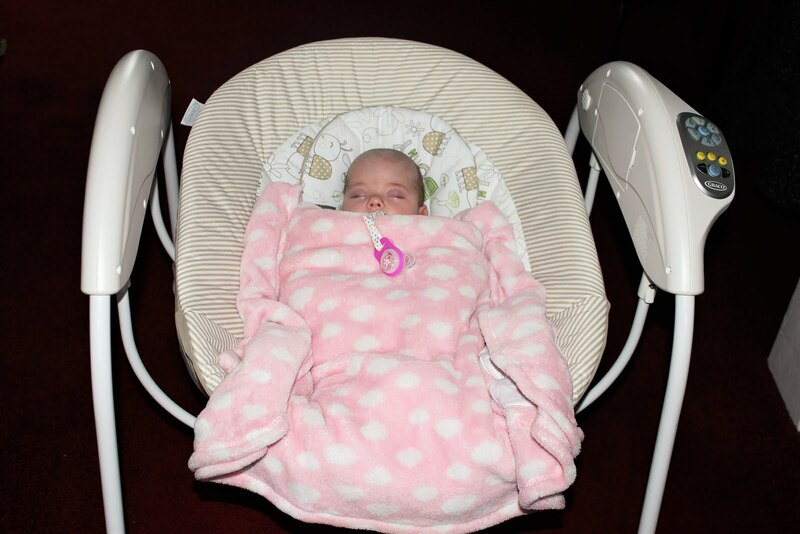 It has a super soft comfy cushion holder that you put on it and it rest it by the babies head. You can choose from 3 sounds, a heart beat, rain on a tin roof or ocean waves (which is mine and Aria’s fave). It turns itself off after 10 mins which is both a blessing and curse but it’s just perfect for white noise to get babies to settle down. I’ve talked about this marvelous creation over on my blog previously so it had to go in the top life saving products for me. She’s had this since she was in hospital and it’s just got everything a baby needs before they can actually play. It has 4 sides with different shapes for the lights to shine through. There’s hearts, stars, clouds and a light diffuser side. On the bottom, there’s a dial to either choose one colour or set it to colour change. AND it plays music! It plays some nice classical tunes and some frogs and crickets noises. Again it’s another thing that chills her out, she loves these sensory type things! So these aren’t all the Little Angels things I own but at the moment these are the best! They are from ASDA which you guys don’t have in America I think you guys have Wal-Mart instead. Their nighttime bath and moisturizer is probably my utmost favourite because it just smells amazing. The vapour bath is also brilliant, it was recommended to me from a friend because her baby gets snuffly and it helps to clear her chest up. 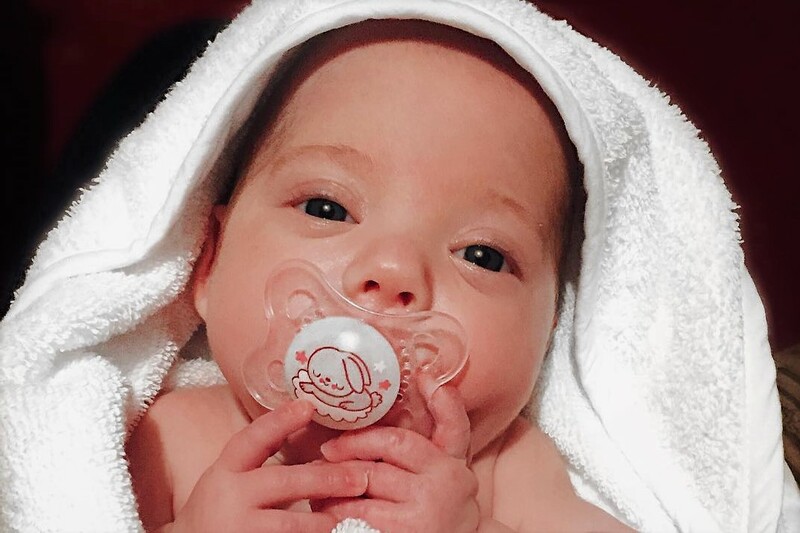 Actually this was the product which turned me on to little angels products in the first place as Aria has really sensitive skin due to her prematurity so usually I don’t put anything in her bath, but these are just perfect for sensitive skin babies and they smell fabulous. I just can’t rave about them enough! 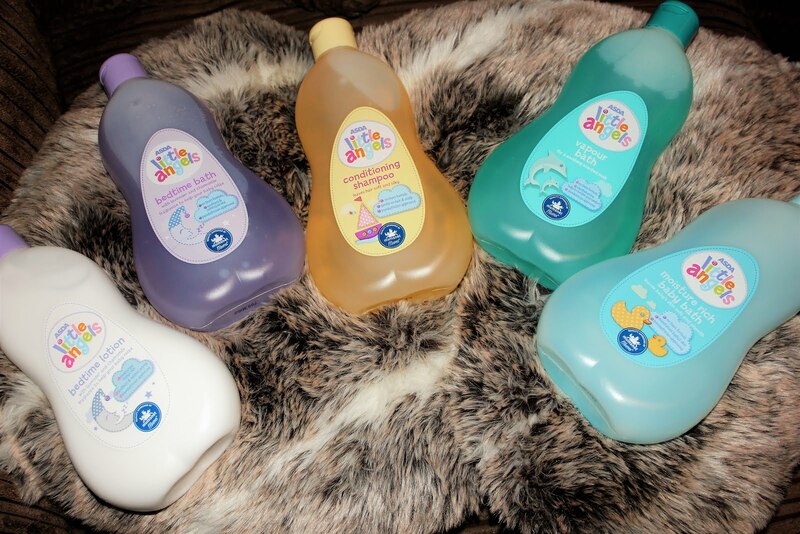 So the best dummies (binkies) in the world as I’ve already said are MAM and recently I’ve tried the MAM self sterilizing bottles which are a god send! I cant believe I put off trying them because I thought she wouldn’t like them, I mean when she was tiny they would’ve been too big for her tiny mouth, but now they’re perfect for her. It separates completely into 6 different sections to make it really easy to clean and then you fill the base with 20mls of water, pop the teat on top of the base, screw the bottle midsection over it all and place the lid on top then throw it in the microwave for 3 minutes! And hey presto, you’ve got yourself a sterile bottle ready for use! MAM have really thought of everything, if only they invented preemie teats.